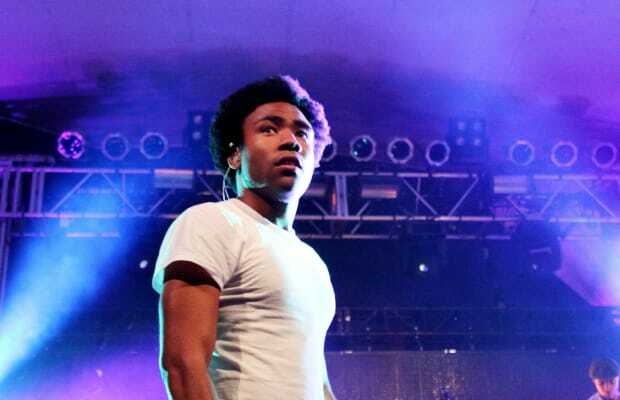 Last week, Childish Gambino announced a joint project with Chance the Rapper. It&apos;s the latest collaboration for Gambino. I pay attention to his career, as I worked with the MC on “My Hoodie,” one of his very first collaborations. My name is Chaz Kangas. Apparently, he began hearing my name, too, and a few days later we had our first brief interaction in between Welcome Week activities. It was something like, “You like rap? I like rap too! I like Madvillain. You like Madvillain too?! Let’s rap sometime!” Cut to: the following Friday night during my dorm’s basement jam session, where all the instrumentalists in the building would gather in the room next to the laundry room to, well, jam. The guys playing were down to rock, but weren’t really big hip-hop fans. Seeing as how our dorm was just down the street from the Weinstein Dorms, where Vincent Gallo first introduced Rick Rubin to Russell Simmons and founded Def Jam, I felt inspired and asked the boys in the band if they knew AC/DC’s “Back in Black.” They did and in front of a room full of my new classmates clad in skateboard shirts and jorts, Donald and I freestyled for a good 17 minutes. I wasn’t the only person who liked Donald; he was one of the most popular R.A.s in the dorm. He wasn&apos;t afraid to bust parties or write students up, and the events he organized drew strong crowds of residents. Donald had something of an everything-to-everyone charm. Physically and verbally he would be very outgoing but his demeanor was always a calm, reserved one. What’s cool about The Younger I Get is how you can hear the influence of the Stones Throw sound. This was that in-between space after the G-Unit mixtape invasion and before Lil Wayne’s Dedication 2 made so many rappers sound just like Wayne—the rappers making projects in our dorm, for better or worse, had to literally find their own voice on record. While Donald was never one for the hip-hop open mic or battle circuits (although he did once take me and some of the other students on his floor to the Nuyurican Poetry Club for a teen slam) the fact that he completed an entirely self-produced rap album while hustling his comedy stuff and working as the R.A. at a freshman dorm in New York City is a testament to his drive and/or his time management. Years later, the cover art for the “Break (AOTL)” single was a shot of the inside of his Goddard dorm. It’s a shame that the extremely personal nature of The Younger I Get, including what sounds like Donald naming the actual names of people in his life who affected him in good/bad ways, will likely keep him from ever sharing it on a wide scale. It’s a shame that the extremely personal nature of The Younger I Get, including what sounds like Donald naming the actual names of people in his life who affected him in good/bad ways, will likely keep him from ever sharing it on a wide scale. There was a lot of talent at Goddard that year (among our fellow residence were Elle Varner, comedian Jenna Kim Jones and Station guitarist Chris Lane who you can see in the above freestyle video) so sharing our finished projects was always a big deal. In a lot of ways, what drew us to New York wasn’t just the university, but the culture of New York music scenes themselves. To complete and release a CD in New York was a badge of honor. At Goddard, everyone’s music was inescapable, with hallway “study rooms” quickly turning into “rehearsal rooms” and friendly regular queries of “How does this cover art look” and “Guess what sound effect I’m starting my album with?” being a regular occurrence. I think perhaps the reason so few (if any other) copies of The Younger I Get are still in existence is because of how many items gets lost or damaged in the act of moving out of a dorm. Over the next year as I was doing promo and interviews for Knee Jerk Reaction, I would bring “My Hoodie” and one or two other recent collaborations with me as, the more exposure I was getting, I wanted to get my friends heard as well. DJs reacted well to “My Hoodie” and in Spring of 2010 when some Midwestern Tween uploaded a video to YouTube of him and his older sister rapping my verse, I realized how that track really connected with people. Chaz Kangas is a music writer and MC. He tweets here. You can check out his latest project, The Rex Manning Day EP, right here.